This blog has been created in order to attempt to help the rest of the world understand how adoption affects those who live it – the very people that adoption is supposed to be there for – the adoptees. This is not my first attempt to catalogue the life of an adoptee (hence the title of this post), but in order to maintain my role as an Adoption Champion for BAAF, it will be the first that I am going try to dedicate enough energy to in order to regularly update. 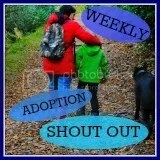 I have, as of yet, no idea how well I will succeed in this venture as – like many adoptees – my failure rate in life is exceedingly high, however, I will strive to update at least twice a week with articles relevant to how the life of this adoptee is affected by what is happening in and around the world of adoption. So, a little about myself then: I was born in the early 1970s, and was abandoned to adoption at the age of seven months. Unlike the gleeful adoption stories from the rainbow-sprouting, fog-enclosed adoption camp, the stories I will be telling will NOT be about how wonderful adoption is, but will instead detail the traumas that I experience as an adoptee trying to make my way through the confusing world. I grew up, like so many adoptees, believing the hype that surrounds adoption. I believed it when I was told that my mom loved me so much that she gave me away. I believed it when I was told that unlike biological children, I was exceedingly special because my adoptive parents chose me. I also believed it when I was told that being abandoned to adoption gives the adoptee a better life. Yes, like many children the world over, I believed all of the lies that I was told. I am no longer a child, and I no longer believe the lies. If my mom had truly loved me, she would have fought tooth and nail to raise me and protect me from the harms of the world – instead, she palmed me off on to the first people who walked through the door wanting to walk out with a seven month old baby – free to good home. No, I wasn’t even “free to good home” – I was free to anyone who wanted to take me, and it was only by sheer fortune that the people who walked through the door to look at the puppy baby that was on supa-saver special offer were good people. If I had been truly chosen by my adoptive parents, I would have been selected from a line-up of available waiting children – instead, their next-door neighbour called around to tell them that she’d had a telephone call from a friend who had a friend whose next-door neighbour wanted to get rid of the youngest of the two children she’d given birth to, and would they like to go and have a look at the puppy baby that was on supa-saver special offer. I didn’t have “a better life”, I simply had a different life.